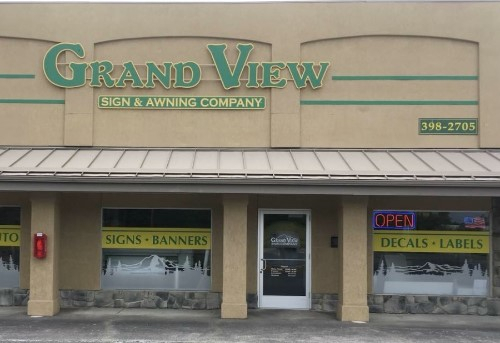 The Grand View Sign Company is conveniently located in the middle of Whatcom County, easy access from Ferndale, Bellingham, Lynden and Everson/Nooksack. On the west side of Guide Meridian, just north of Smith Road. Our address is 5373 Guide Meridian Bld B.